Cooking with wine can be a little intimidating for your average amateur chef. It’s a tricky ingredient to judge – too much or too little can go very wrong, and you don’t want to waste any. On top of that, there is a common misconception that, since you’re cooking with it, you needn’t worry about quality. Here, we’re going to dispel that. Don’t fall for the “cooking wine” trap. Cooking with wine doesn’t make it any better, so first off you probably shouldn’t be cooking with any wines that you wouldn’t also enjoy drinking. You don’t need to break the bank, but it’s worth using a wine that you actually enjoy, rather than going for the cheapest bottle you can find. Part of that’s in the flavour – using wine as an ingredient or a reduction will change its flavor, to be sure, but it won’t make it better if the standard isn’t already there. The second element is quality. Wines that are not well-produced will transfer their imperfections and additives, like excessive sulfites, into whatever dish you cook, whilst properly produced bottles will give you nothing to worry about. Besides, there are virtually no recipes that call for a whole bottle of wine. Why not choose a good wine and give yourself the chance to enjoy the leftovers? There are two main ways that you’ll find yourself cooking with wine. 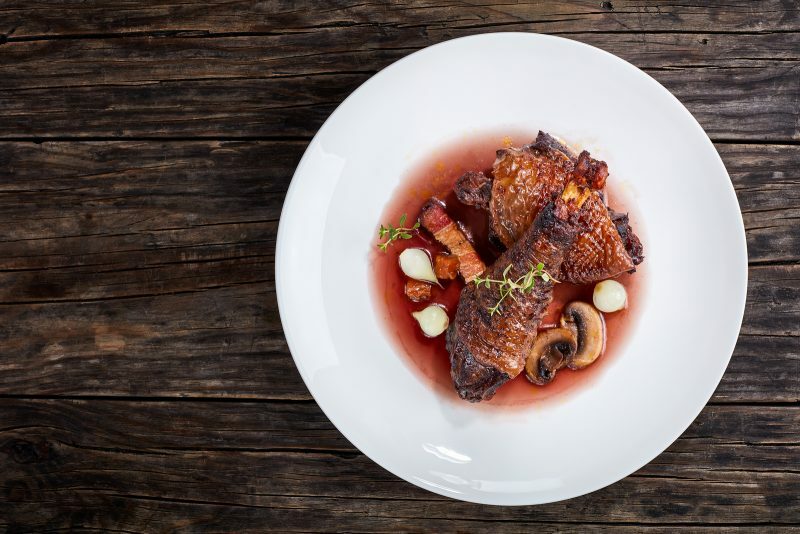 One is creating a wine reduction – wine that has been cooked down and had the alcohol cooked out – as part of a simple pan sauce, combined with ingredients like butter or olive oil. Otherwise you’ll likely be braising, cooking ingredients in a sauce or stew that includes wine for a longer period of time. 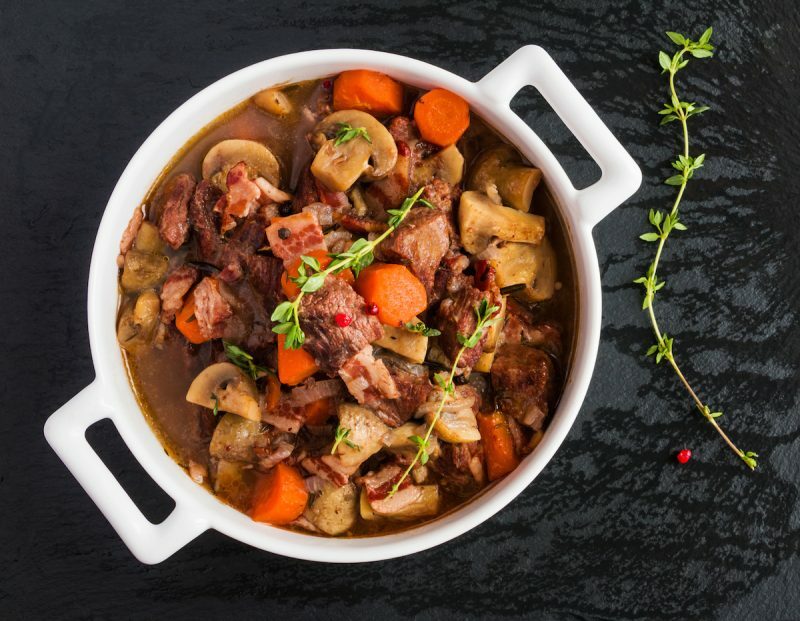 This method, used for of hearty French dishes like beef bourguignon and coq a vin, gives the wine plenty time to pass its flavor into the dish. 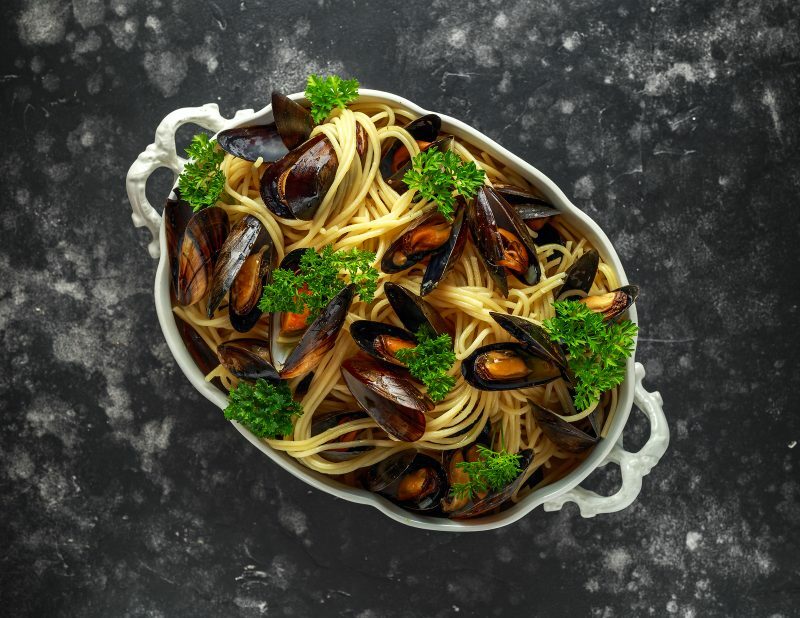 Some recipes require a final splash of wine to be added after cooking – here, the quality of the wine is perhaps even more important, because its flavor will stay fully intact. Which wines should you use? Cooking evaporates the alcohol in wine, leaving behind strong flavors and concentrating attributes like sweetness and acidity. Because of that, you should aim for wines that land somewhere in the middle. Dry, unoaked white wines like a Sauvignon Blanc or a Pinot Grigio can work well, while light-to-medium bodied options like pinot noir or cabernet are ideal when it comes to red wine. You can also give a bit of thought to the cuisine that you’re preparing. If you’re cooking beef bourguignon, a French red would be a good look. 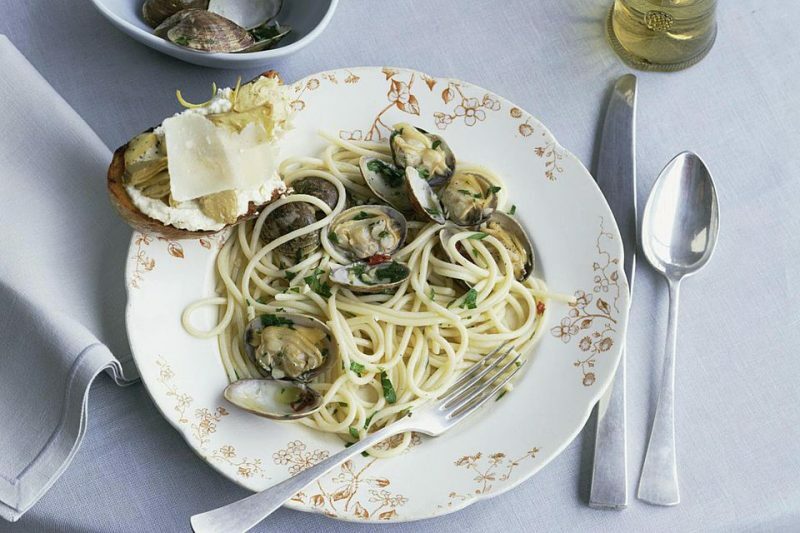 Or, if you’re whipping up a white wine and seafood pasta, why not try an Italian bottle? If you follow these general principles, cooking with wine will be easier than you ever thought. We couldn’t leave you without a recipe to test out your new kitchen knowledge. 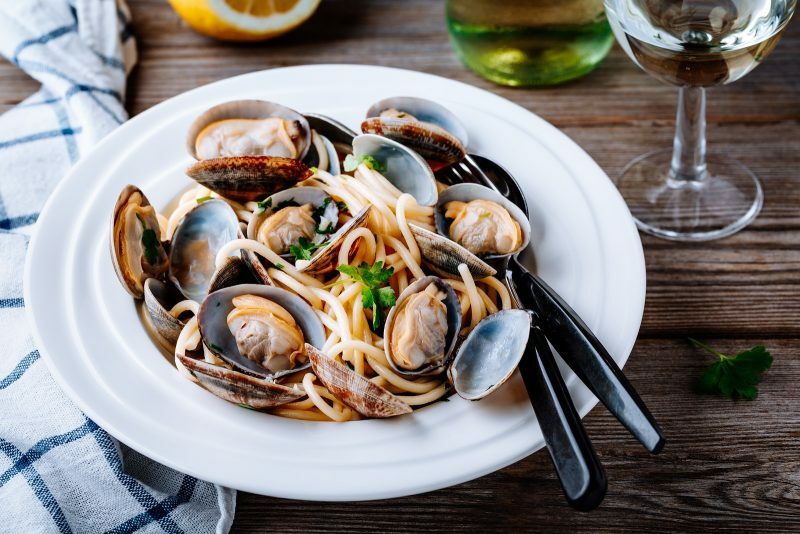 Read on for a delicious, simple recipe for Clam Pasta with Garlic & White Wine. (Image and recipe via thespruceeats.com). Heat the oil and butter over a medium heat in a large, heavy-based pot. Add the onion and fry for 2-3 minutes, stirring occasionally, until translucent. Add the garlic, chili flakes and salt and stir for about 20 seconds. So, next time you cook with wine, you should cook with wine you would drink. You’re in luck – we only sell wines that we love to drink ourselves! 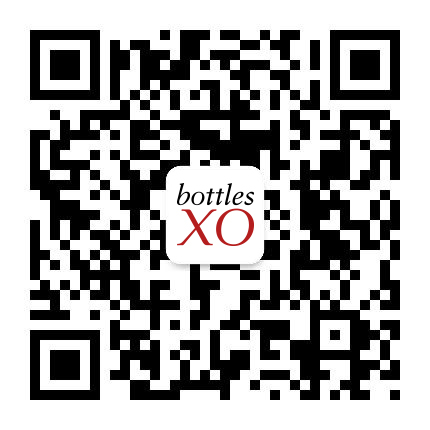 Click here to download the BottlesXO app and get great wines delivered to wherever you are in Shanghai, Suzhou, and Hong Kong. That’s chilled and ready to drink with no delivery fee, in an average time of just 29 minutes.